Congrats to Michiko Yanagisawa She wins a $50 Amazon eCard. Michiko is the name that came out from the drawing between all the people that reviewed 2 Years 4 Months 2 Hours. I met Michiko last year at the meetup Partners@Berkeley the group is dedicated to all the foreign women that follow their partner in the US. 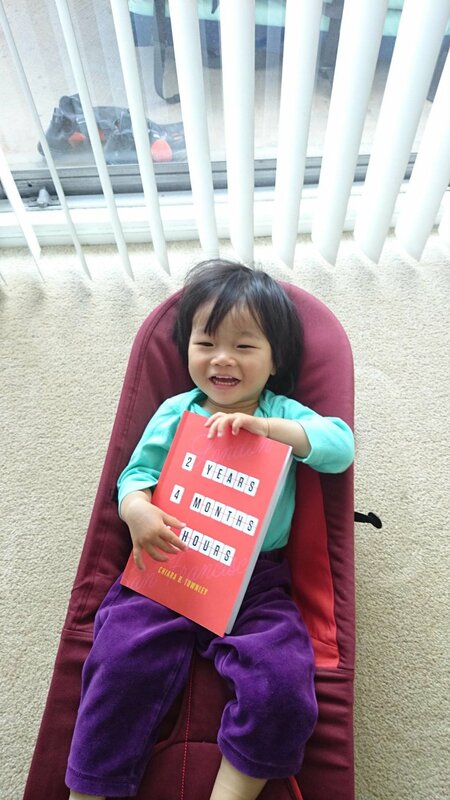 Here below is the cute photo she sent me when she bought my book. It’s her kid holding it. This prize symbolizes the gratitude I feel for the readers that helped me reach 65 ⭐⭐⭐⭐⭐ reviews! Keep on reviewing and spreading the word. I will do another contest soon. Thank you for your support!